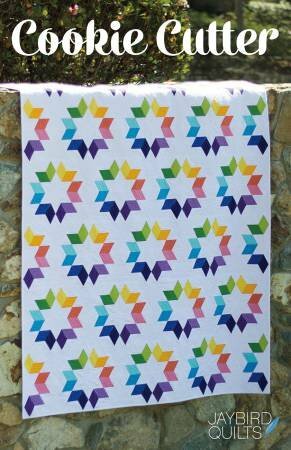 Join Linda Kay in our classroom to make this beautiful quilt .... Make it in a Rainbow gradient with uniformity, to color coordinated or scrappy, imagine the possibilities. Skip the icing and get cutting into feature fabrics of solids, small scale prints, blenders or batiks to create a Cookie Cutter quilt of your own - with no Y seams! No special template required. We will use the template provided with the pattern.